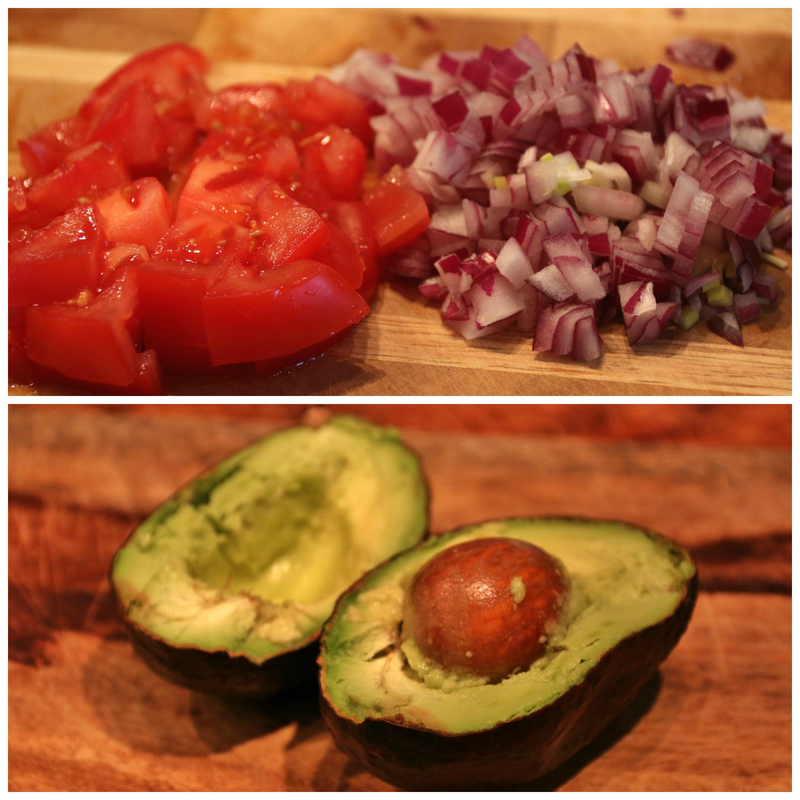 Ingredients: Avocados, Cilantro, Tomatoes, Red Onion, Garlic, Lime, Salt, Pepper, & your favourite hot sauce! Add all ingredients into a bowl (except for salt/ pepper and hot sauce) save until after you have blended everything together to taste. After you have blended all ingredients together( I like to use my immersion blender, gives it a nice smooth texture, however i do like to leave a few chunks here and there! the hubby likes it chunky! Then go ahead and add your salt/pepper and hot sauce to taste. And there you have it! 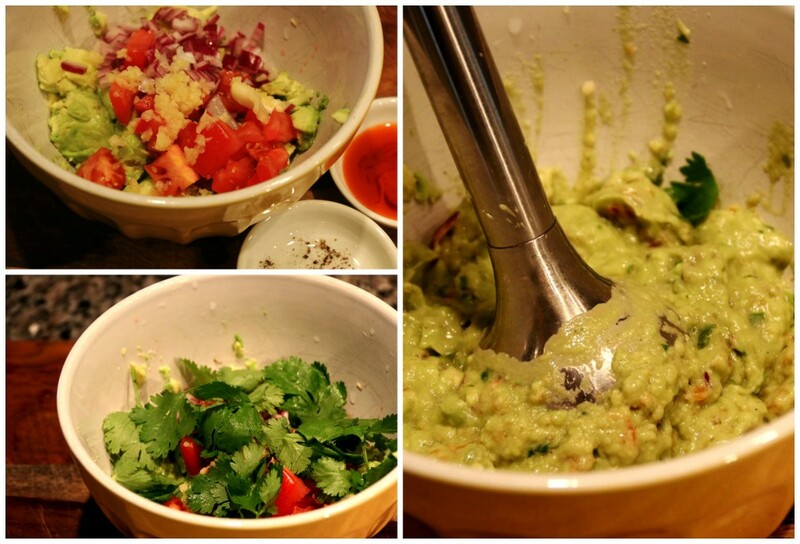 My delicious full of flavour Guacamole! 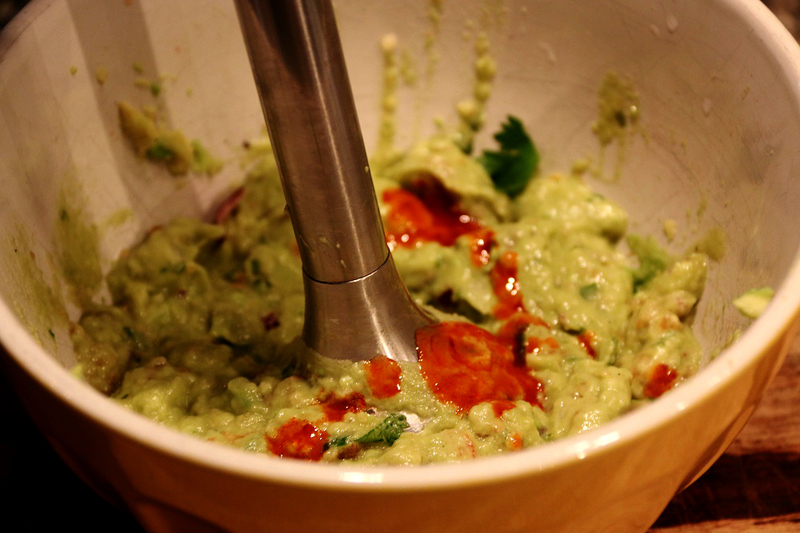 Halve your avocados, remove pit and scoop insides into a medium sized bowl. 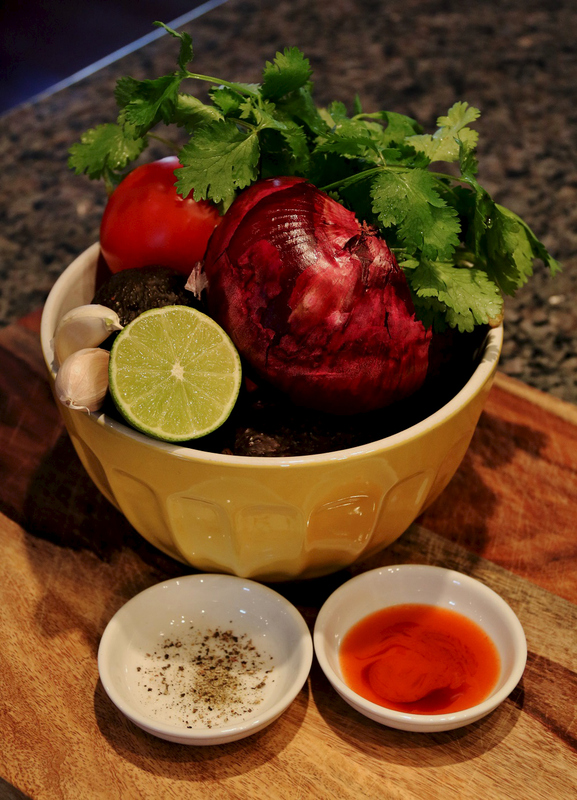 Then go ahead and mince your garlic, squeeze in your fresh lime juice and add cilantro. Then by this point you want mix in your hot sauce, salt and pepper to taste. 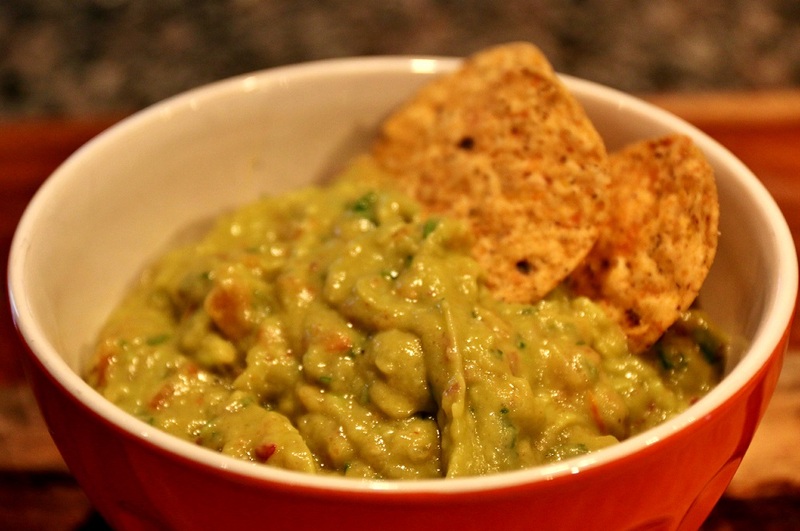 This entry was posted in Appetizers & Snacks, Recipes and tagged Appetizer, Guacamole, Mexican food, Snack.